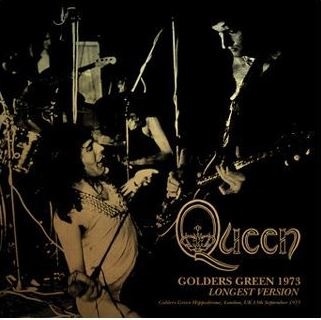 Recorded: Recorded live at Golders Green Hippodrome, London 13th September 1973. Sound: Excellent proffesional live recording. BBC recording. Comments: As far as I know, this is the complete show. Broadcasted on BBC In Concert program. But the last medley tracks has never been broadcasted. 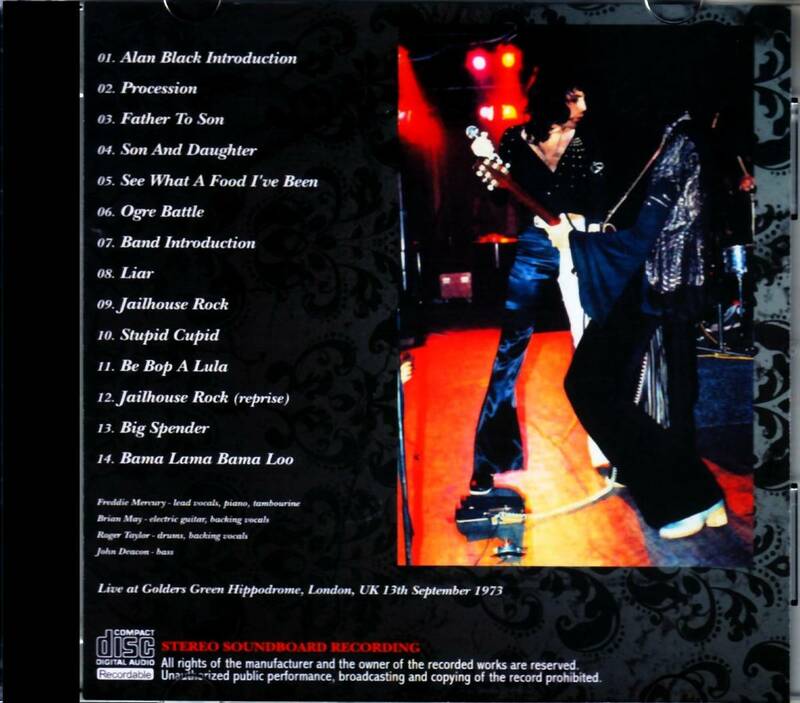 This recording are originally taken from the bootleg 'Queen Will Be Crowned' 1cd. Roots: From a un-broadcasted BBC recording. Well, part has been broadcasted as mention.